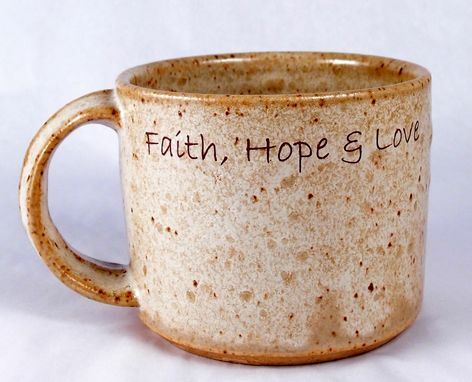 A customer was looking for a set of ceramic mugs that would read "Faith, Hope & Love" and would be 4" wide with large handles (but not too large). 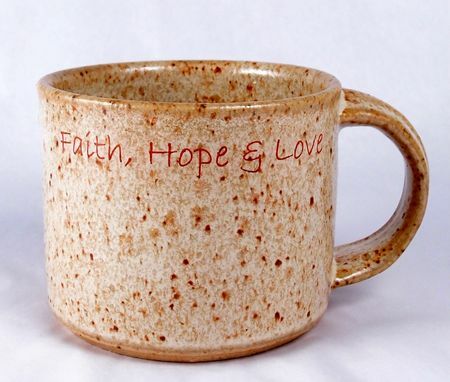 I sent him images of different glaze colors and font styles, and kept him informed along the way. Now he has two custom Christmas presents for himself and his wife!